Here is my twisted take on the Cat in the Hat. 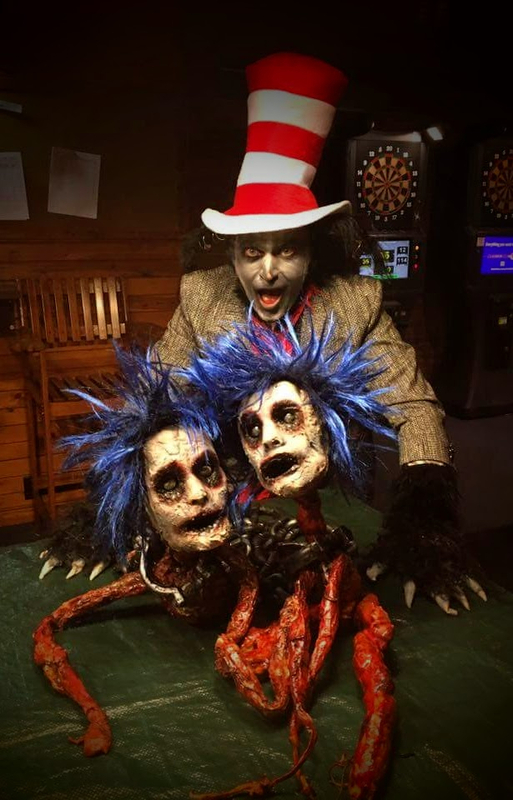 The clothes were thrift shop finds, but the rest of the costume (prosthetic ears, latex/fur claws, scraggly tail, etc) was my own creation, as were Thing 1 and Thing 2. 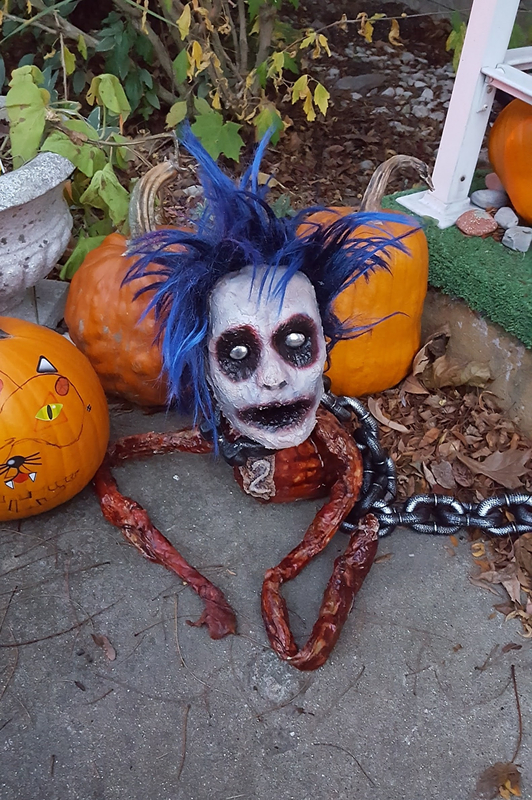 Creeping around all evening with my little creations was a blast. I hope you enjoy!